Feeling tipsy? This cigar humidor claims that the proprietor of the martini lounge has been tipsy for years! 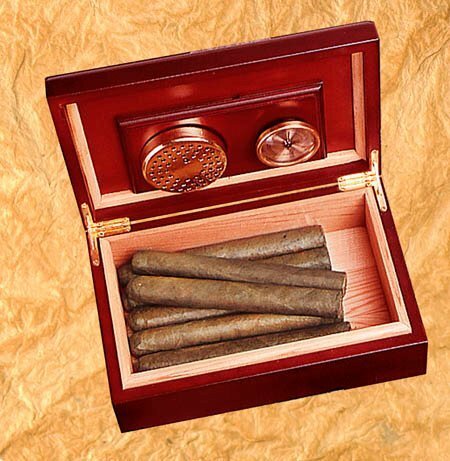 Make any wild cigar enthusiast feel special with a personalized humidor in which to store his prized collection. 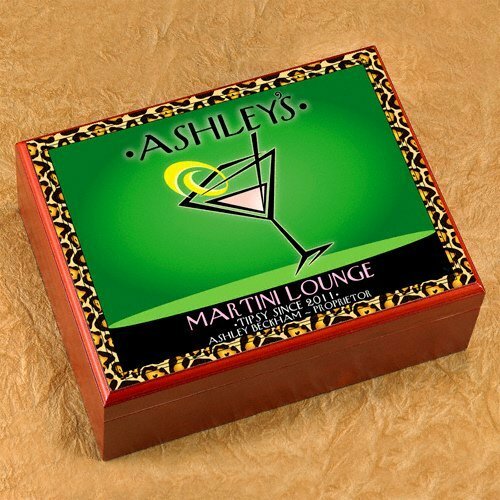 Add some fun to the gift with our leopard print border that surrounds a cosmo martini glass on a full-color background. Cigar humidor measures 9-1/2" by 3-5/8" by 7" and is personalized with first and last name and year established.